I always look forward to the East Dane sale and this year’s sale could not have come at a better time! 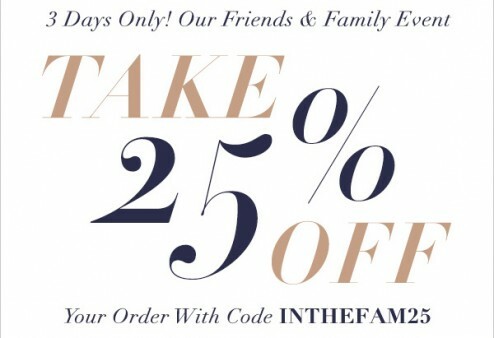 For 5 days you can get 25% off with the code – INTHEFAM25 (the same applies to ShopBop who have a three day sale). If you are looking to change your wardrobe or invest in that Winter Parka, then now is the perfect opportunity to grab a bargain. With free express international delivery, you never have to wait long to receive your package.